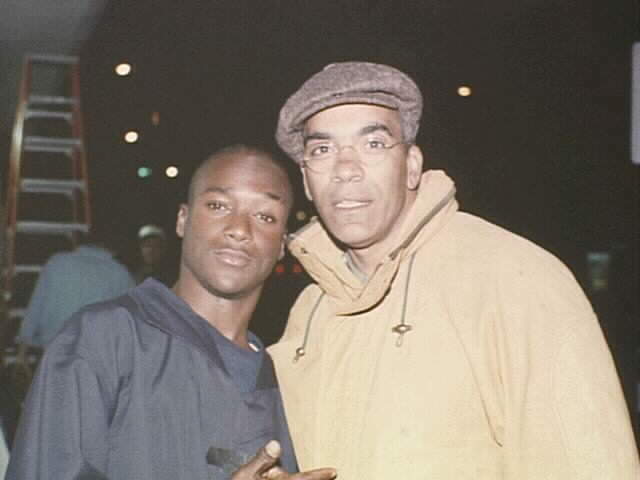 Lamont and Howard Hewitt(left). 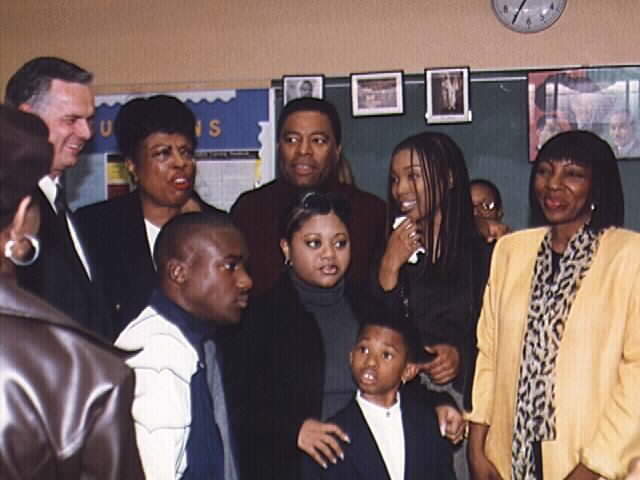 Lamont, Brandy and the cast at Locke High School to meet the Vice President (middle). 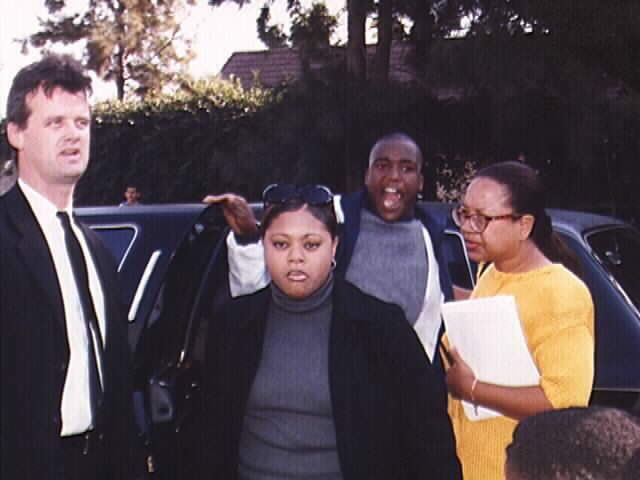 Lamont and Countess getting out of a limo at a premiere (right). 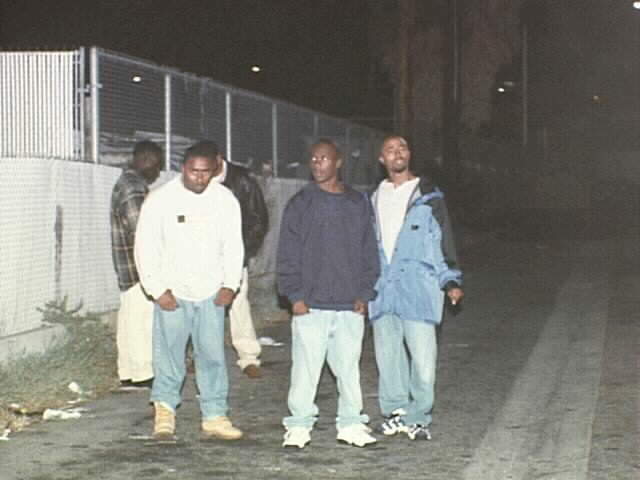 Lamont on the set of his short film for Def Comedy Jam (left). 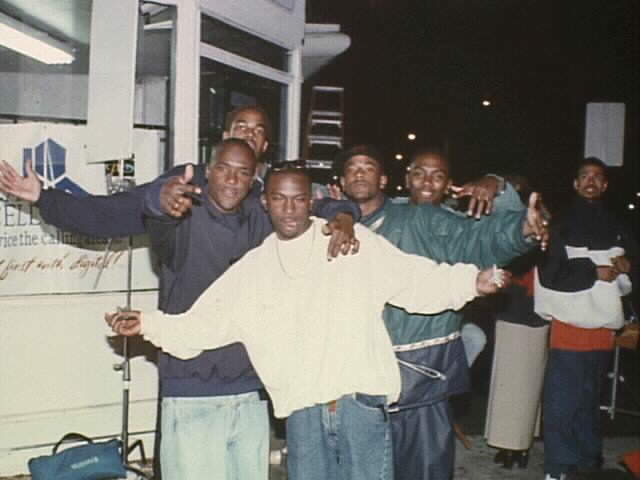 Lamont and Priority Records artist Ras Kass (middle). 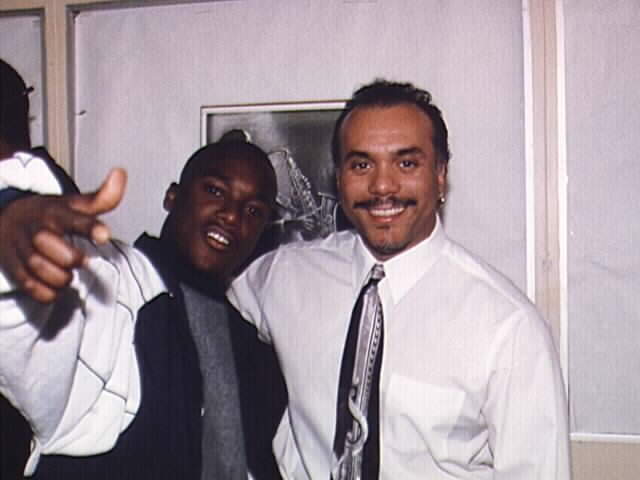 Lamont and Def Pictures co-chairman Stan Lathan, who is also Executive Producer of The Steve Harvey Show (right). His congenial smile and precious pup-sounding chortle are initial examples of the charisma that possesses Lamont Bentley. What many don't realize is that behind his engaging grin is an extremely talented, multi-faceted young actor. Lamont's chameleon-like characteristics enable him to display a variety of moods and personalities, all of which can emerge in matter of minutes. A native of Milwaukee, WI, Lamont moved to Los Angeles with his mother, an aspiring singer. His aptitude for comedy became apparent as he constantly made people laugh at his mother's auditions. It was then that he was encouraged to begin his own entertainment career. He began with commercials, his Starburst commercial being one of the most prominent. He then began to accrue an extensive list of television credits, including co-starring roles in the much-acclaimed "South Central" and "The Client." He also stars in the frequently aired PSA "Fatherhood," which reflects the responsible choice of a teen father who chooses to baby-sit his toddler son instead of playing with his high school football team. 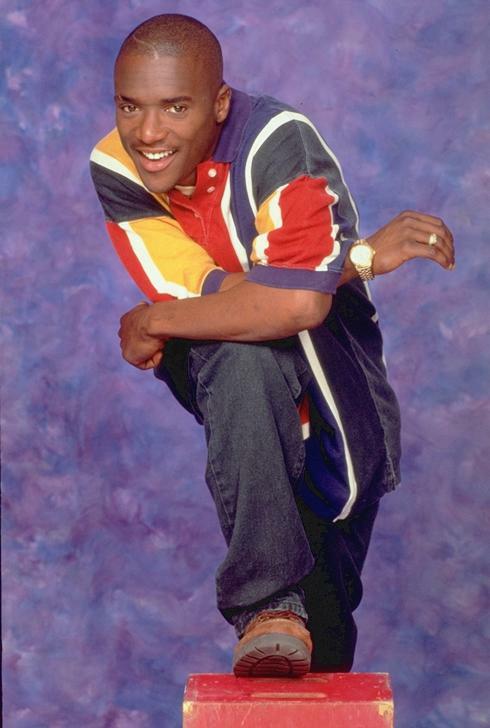 In his film debut, Lamont co-starred as Crazy K in the motion picture "Tales From the Hood." Lamont's frenetic, sadistic portrayal of a gangster stuck in his own psychotic nightmare speaks volumes of his versatility. Light years away from the role of Crazy K, Lamont is currently co-starring as the eternally hungry, happy-go-lucky Hakeem Campbell on the UPN sitcom "Moesha," starring teen r&b diva Brandy. With "Moesha," Lamont is gaining momentum as a recognizable face, a face that young girls around the country make a point of tuning into on a weekly basis. While his acting career is on the upswing, Lamont and his partner, Tyson, have formed "Uprise," a positive hip-hop duo with chart-topping potential. Lamont is currently in the studio recording songs under the direct supervision of platinum recording artist Coolio. Already courted by numerous record labels, Lamont is preparing himself for another dream fulfilled. Lamont will host eight weeks of The UPN Movie Trailer, providing commentaries on movies such as Marathon Man and Devlin, proving once again Lamont's talents beyond acting. Lamont says he "just enjoys working." Still, he'd like to have an opportunity to star in a film where the story revolves around his character. "I haven't had the chance to carry a film yet. I'd like to try it to see if I can if I got a starring film role... Boom! That would be the bomb," he grins, falling into his Hakeem character. For those who like to be on the cutting edge, Lamont Bentley is cutting the edge to shreds. Look up to catch his rising star. This bio is provided courtesy of The Spencer Company, exclusive theatrical managers for Lamont Bentley. Lamont Bentley candid photos provided by The Spencer Company. Last modified on Friday, 18-Jul-2008 21:01:37 CDT.